Whatever our gifts are, we are to use them lovingly. The love is more important than the gift. ♦ We celebrate the Sacrament of the Lord’s Supper. All are invited to the table to partake of the bread and juice by intinction. Lent, the season of preparation and reflection on the execution of Jesus and his resurrection, begins March 6 with an Ash Wednesday service at 6 p.m.
Every seven years, the church offers Pastor Keith a three-month sabbatical, a time of rest, renewal and preparation. His sabbatical begins April 22 and continues through July 14. As before, Pastor Jody Beth will move up to 40 hours a week (from 30) and will cover administrative, leadership and pastoral care. A variety of preachers will lead worship over those 12 weeks. ■ A class on preaching in today’s world led by Rodger Nishioka. We will address the question, “In these days when the fastest-growing religious group in the United States is the religiously unaffiliated, what does it mean to preach the Word of God?” How preaching is changing and challenging the church. ■ Personal retreats for praying, scripture reading, professional reading, planning, and play. ■ He will make trips back to Foley on occasion to give updates to session and/or leadership groups. ■ Assuming his health is not a concern, he wants to cycle from Atlanta (actually Smyrna, Georgia) to Gulf Shores to raise funds once again for Presbyterian Home for Children. This is the fifth anniversary of his ride with his son, Pate, from Tennessee to Gulf Shores. Chancel and handbell choirs are in full swing in February, with the chancel choir leading worship weekly, and the handbell choir preparing to lead worship on March 3. We are looking at opportunities for the Joyful Tones and the beginner handbell choir to lead one or both Holy Week services. Maundy Thursday is April 18 and Good Friday is April 19. Please let Lisa know if you are interested in either or both of these choirs. We welcome new members. Some changes are happening regarding worship volunteers for our 10:00 services. This is because we have fewer people volunteering these days. The worship committee has decided that two greeters/ushers are sufficient for each Sunday. They will need to ask for help with the offering. Our new rotation schedule begins with the first Sunday of February. We have four greeter/usher teams and they will serve every four weeks. I will be a “floater” and ready to assist as needed on most Sundays unless I am serving as the liturgist. We also decided that one acolyte is sufficient to bring in and take out the light when two are not available. However, we realize that youngsters often prefer to do this when accompanied by a friend or relative. It is not just young children who can be acolytes. We are happy to offer instruction to all who are interested. Youth or adults can serve. Our greeters or the worship elder will bring in and take out the light when needed. Children are welcome to open the doors, greet worshipers and hand out bulletins as they have done at various times in the past. Parents of babies and toddlers generally are keeping the children with them in worship, so there often is no need for our nursery attendants to actually go to the nursery. We need them to be available to serve if needed. If you haven’t picked up your volunteer schedule for February through May, please do so Sunday. They are in the back of the sanctuary. Please let me know if you or your child would like to be a worship helper. We can have you on reserve as a substitute or add you in the next quarter. Or if you feel God is leading you to volunteer as a scripture reader, please contact me. The elder designated as “elder of the month” (or week, in some cases) is responsible for reading the prayer of illumination and the scripture selected by the pastor or asking someone else to do it. I will be happy to let all elders know of your interest. When you see people you don’t know in worship, please introduce yourself to them and make them feel at home and invite them to come over for fellowship time. Remember, we practice radical hospitality here. I appreciate you and everyone in our Swift Presbyterian Church family. We are in the midst of Ordinary Time in the church year, and that continues until Transfiguration of the Lord Sunday on March 3. Lent begins with Ash Wednesday on March 6. Work has been done on the driveway entrance. The road was widened to two lanes. Crushed asphalt was laid. This is prepared so that we can pave over this if funding allows. That was phase 1. Phase 2 will be to repair the south end of the parking lot where the asphalt is breaking off and repair in front of the chapel where the dumpster truck has caused damage. This will probably necessitate moving the dumpster. Phase 3 will be to improve drainage by raising up the driveway and sidewalk at the fellowship hall ramp. This area is under water when it rains. When these three crucial areas are addressed, we will reassess where we are and what funding remains. At that point we will decide how to proceed. Ideally there will be sufficient funding to get the entrance paved. Thursday, Feb. 7 • 11:30 a.m. Couples, singles, men, women, first-timers, old-timers — everyone is invited and welcome. Delicious food, reasonable prices and great conversation. Come and meet new friends. Come one, come all to Fourth Day lunch in the fellowship hall. Don’t forget to bring a sack lunch. This is monthly on the second Thursday. Here’s a link to the restaurant’s website. Butterfly Girls and Guys’ Night Out will meet at Big Daddy’s Grill, 16452 Ferry Road, off County Road 32 along the Fish River. If anybody needs a ride, some can ride with Mary and Greg McNair; also Mary will help to coordinate car-pooling if there’s not enough room in her car. Our group is growing ever since the girls and guys meet at the same place, although we sit and visit together separately. Come join us this month. Couples or singles are welcome. Join us and suggest new places for us to try. We welcomed the newly installed elders to the Jan. 21 meeting. We received the 2018 end-of-year financial report and approved the 2019 budget. We talked about a Swift Church logo to put on signage, business cards, publicity. A task force was appointed to bring suggestions to the next meeting. Once that is decided, we will start to refresh signage around church, inside and outside, as well as street signage. ■ heard from each committee as to what they are planning for 2019. ■ approved Mark Melton to be commissioner to the Feb. 8 and 9 Presbytery meeting in Mobile. ■ approved Lynn Aspray to be treasurer for 2019. ■ approved Sue Ann Lay to be clerk of session for 2019. The Swift Presbyterian congregation continues to support our missions with generous giving hearts. Our food pantry continues to be very active with many volunteers; we commend you for your continued good works. Twenty-nine families were served Jan. 9, and 22 families were served on Jan. 23 at our food pantry. We would like to thank all the Swift members who took the time to complete the mission questionnaire. Your responses are greatly appreciated for guiding our missions in the future. Swift will continue supporting several preferred missions, based on your input. Numerous members suggested we add more local mission efforts with our time, talent, and treasure. The mission committee will host a meal of soup, bread and dessert after the 10:00 service. Take-outs will be available after 8:00 and 10:00 services. Thank you to all who helped by donating a crockpot of your favorite soup or chili, veggie tray, bread, or dessert, or to help set up or clean up. A freewill donation for this event will go to the support of the Swift food pantry. Jim Runtz, who is on the Presbyterian Home for Children board and is knowledgeable about First Presbyterian Church in Wetumpka (close to Talladega) has offered information in case our congregation wishes to send contributions to assist in the restoration of their church that was destroyed in a tornado last week This church has significant kinship with Swift, in that both are “historical churches” on the state registry, well over 100 years in continuous service to their respective communities. The fellowship deacons, Kathy Knipe and Tina Sprouse, are taking a new approach to our Sunday morning fellowship time (after 10:00 service). We are asking the congregation to participate in either providing a snack, drinks, or help with cleanup afterward. Coffee will still be provided by Swift. We would like to provide a sweet snack and a healthful snack each Sunday morning. If you are able to participate in any way, please sign up on the sheet located in the fellowship hall or call Tina Sprouse at (251) 510-5444. Reimbursement for expenses is available. ■ Refuel, our periodic Wednesday night youth group meeting, is from 6 to 8 p.m. You are encouraged to invite your school friends, neighbors, etc. Feb. 17 — 4 to 6 p.m.
Raffle tickets are available starting today through Feb. 24 to help cover the cost of Montreat and other youth group activities. Items to be raffled are displayed in the fellowship hall and include a week at a Tennessee cabin. Donations of $5 for five tickets and $10 for 12 tickets are available. You don’t have to be present to win. Contact Tara Morrow or any youth group member to purchase a raffle ticket. The class meets in the fellowship hall on Sundays from 9 to 9:45 a.m. and is led by Susan and Daryl Pichoff. 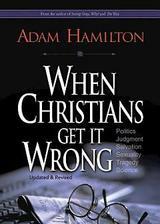 We would love for you to join us as we look at Adam Hamilton’s “When Christians Get It Wrong,” a video-and-discussion series. We will look at why so many younger people are distancing themselves from the church and rejecting Christianity. We will have a bite and share our thoughts on this topic. We have great discussions and good snacks. If you have questions, please let me know. Contact Susan at tabfanatic@gmail.com or 251-233-9486 (phone or text). We continue our chronological study of the New Testament. We have studied about half of Acts and are now studying James and Galatians. Oh, how much fun it is to study the “how-to” books of the Bible. We welcome you to our class, which meets at 9:00 on Sunday mornings in room 2 in the annex. Sunday evening and Thursday morning Bible study groups are continuing a weekly study on the book of Genesis. “Invitation to Genesis,” a disciple Bible study, includes a DVD, a leader’s guide, and participant books. The study books are $15 and as always, scholarships are available. Please let facilitators Pastor Jody Beth and Philip Melton know if you will be able to be a part of this group; 251-213-6625 and 251-213-6505. We are blessed to have so many people who would like to be part of Bible study and fellowship at Swift Church. Here is a listing of the groups currently meeting. All of them are open to people visiting and/or joining the group, whether you are a member of Swift Church or not. For more information, contact the leaders or the church office. • Sundays, 9 to 9:45 a.m., Snacks with Susan and Daryl, fellowship hall, led by Susan and Daryl Pichoff; topic varies. The class usually watches a DVD and discusses informative topics. • Sunday evening (5:30 to 6:15) and Thursday morning (10 to 11:30), Bible study groups meet weekly. They are studying the book of Genesis. Contacts are Pastor Jody Beth and Philip Melton, 251-213-6625. • Thursdays (first Thursday of month), 11:30 a.m., “Two or More” fellowship lunch at O’Charley’s in Foley on South McKenzie Street. Contact is Lee Mansell. • Thursdays (second Thursday of month), noon, Fourth Day fellowship lunch in the fellowship hall. Bring your own sack lunch and enjoy Christian conversation. This is a new group, started by six people who attended Cursillo #36, and is open to everyone. • Thursdays (third Thursday of month), 6:30 p.m., Butterfly Girls and Guys’ Night Out fellowship dinner at area restaurants, different place each month. We have a need for at least one more helper. Flowers can be offered for a special occasion, birthday, anniversary, in memory of someone special, or just because you want to. They don’t have to be an expensive bouquet or arrangement, but something out of your own garden can be just as beautiful. We keep a calendar in the office so that you can check to see if your date is available. You can reach Susie at 251-943-4145 or at thfairynfoley@gmail.com. ABOUT ONLINE GIVING . . .
You may have noticed this box in your bulletin. Using your “smart phone” and this box you can connect to the church’s online giving page. You can set up for automatic donations of your tithes or one-time gifts to a number of funds benefiting ministries of Swift Church. 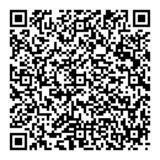 Use this by either entering your credit/debit card information or your checking account information. Of course, this is a secure website. You can also do the same thing by clicking the donation link on the church’s website, www.swiftchurch.org. Julie Seabrook of Elberta united with Swift Church as an affilate member on Jan. 20. See her picture and read more about her by clicking here. ►Read the Swift Church Preschool newsletter for February. ►Check out the Swift Presbyterian Church Preschool website.